It is Coyne who offers a caricature, of the arguments of the supporters of FPTP. We do not say that PR never produces stable majority governments or broad national parties or that under PR bums are never thrown out. We say that PR makes all that very difficult and it seldom happens. Coyne has evidently bulled up on European elections under PR to contest my report that ‘In the fifty years after 1945 in 103 elections in Belgium, Germany, Italy, Japan, the Netherlands, Sweden and Switzerland the major governing party was only thrown from office six times.’ He doesn’t deny that is true. He winkles out a handful of suspect counterexamples. His first example is Norway where he says that the citizens have thrown the bums out nine times since 1945. He neglects to mention, perhaps didn’t check, that six of those times it was not the citizens at elections but a realignment of parties in the Storting that changed the government. Examples can be multiplied. Spain after Franco presents a poignant example. For much of that time Spain had majority governments because of the ascendancy of the conservative and socialist parties and wrinkles in its PR that allowed the socialists to win 52 per cent of the seats in the Cortes with 44 per cent of the vote in 1986. But the December 2015 election produced a fractured Cortes. After six months of negotiations another election was called. Another fractured Cortes. For almost 260 now days Spain has been under a ‘caretaker’ government. Perhaps it doesn’t much matter. Several European countries have been for quite some considerable length of time under caretaker or ‘technocrat’ governments. But I assume that the premise of the discussion is that governments matter and that it matters that the voters should decide who governs them. Coyne concedes that there have been only four ‘changes of power’ in Germany. But again neglects to mention that only once in the 67 year history of the German Federal Republic have the governing parties been replaced as a result of an election. In 1998 the Christian Democrat/Free Democrat coalition was replaced by a Social Democrat/Green coalition. The other changes were when grand coalitions of the Christian Democrats and Social Democrats were formed, rejecting the apparent choice voters were offered at the election, or broken up, leaving half the bums in power, and when the Free Democrats, a small party, shifted their support and exercised the disproportionate power PR gives small parties. Coyne accuses us of amnesia for forgetting that nine of the last twenty elections in Canada have produced minority governments. My memory actually goes back farther to Canada’s first minority government from 1921 to 1925, which went swimmingly as the second party, the Progressives, refused to form the opposition and Mackenzie King governed without difficulty. And we all remember the Pearson minority governments, which, whatever you think of them, were highly productive, and stable. Pearson called an election in 1965 in an unsuccessful attempt to get a majority. And our minority governments are responsible. We know whom to blame if they go badly and whom to credit if they go well. Coalitions under PR cannot be held responsible. They don’t stand for election. A bunch of parties stand for election and how they may coalesce after the election is a great unknown. It is an odd thing for a proponent of PR to complain of minority governments. As most often no party has a majority under PR and a coalition the voters never got to vote on is formed. But Coyne’s quarrel with minority government in Canada is that parties have an incentive to precipitate an election that they might win. He writes of what he calls ‘the high degree of leverage characteristic of FPTP.’ By which he means the leverage the voters have. Their ability to decide who governs. ‘Under PR, by contrast, there is no such leverage, and no such incentive.’ You bet. Voters can shuffle about between parties but it makes little difference. So parties are left to shuffle about amongst themselves without elections. Deciding between electoral systems requires looking into the principles on which they are based and the details of how they work. I have done that in the paper to which Coyne refers. Only FPTP makes sense and allows voters to decide who will represent them and who will govern them. All the alternatives are misconceived efforts to do better than best. 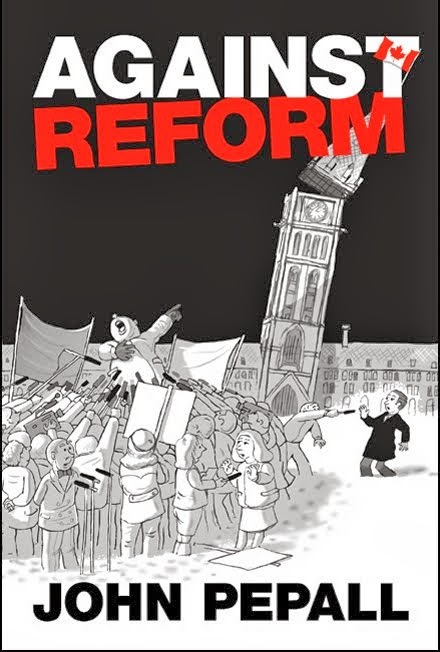 The common problems that opponents of electoral reform fairly point out result directly from the misconceptions of electoral reform. Some times countries manage despite PR. And, yes, some times countries get in a muddle with FPTP. But with FPTP countries can get out of their muddles, while with PR countries can become permanently stuck. 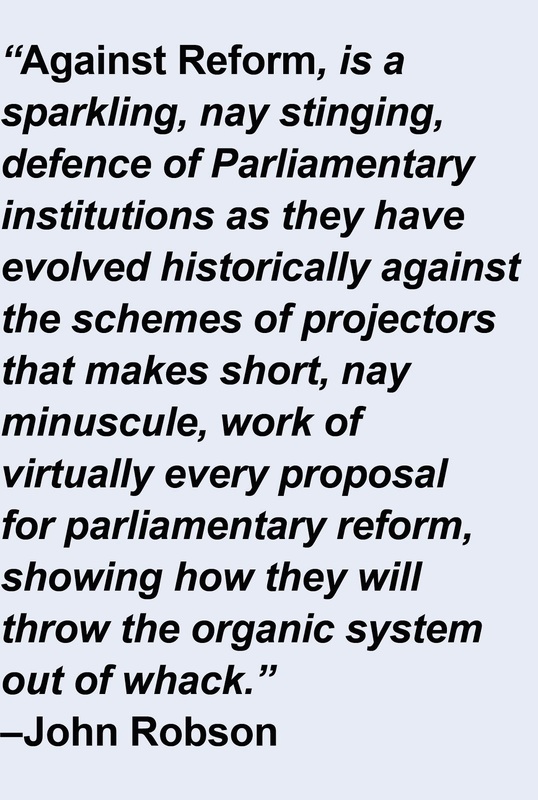 Electoral reform gets very technical. The media have so far spared you the details. You can skip all of it if you prefer and stick up for the way we vote now. Which brought you the Trudeau government, of which, by the latest polls, two thirds of you approve. Despite, not because of, its commitment to preventing you from deciding whether to keep it or throw it out in future elections.